Thousands more mountain residents were evacuated from the path of California’s biggest wildfire on Saturday, Aug. 3, as fatigued firefighters battled gusting winds driving one of the state’s worst fire seasons in a decade. The Mendocino Complex Fire grew to 153,738 acres (62,000 hectares) on Friday, about half the size of Los Angeles, forcing nearly 16,000 homeowners to flee a blaze that has destroyed 88 structures about 93 miles (150 kilometers) north of San Francisco, according to the California Department of Forestry and Fire Protection (CalFire). 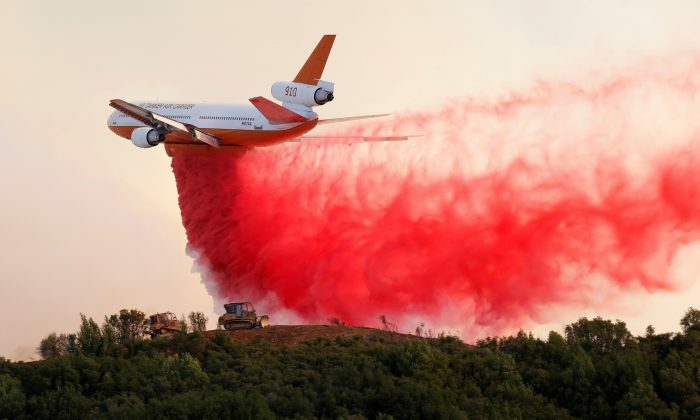 Its size overtook the deadly Carr Fire, about 100 miles (160 km) to the northeast, which is among 17 major blazes burning in tinder-dry forests and woodland peppered with dead trees from the state’s 2011-2017 drought. The Carr Fire spawned a “fire whirl” of flames and winds in excess of 143 miles per hour (230 kilometers per hour) on July 26 that had the strength of a severe tornado and uprooted trees and toppled power lines, according to a tweet by the National Weather Service. Fueled by triple-digit temperatures, the blazes have put California on track for its most destructive fire year since 2008, in terms of area burned, said Cal Fire Deputy Chief Scott McLean. Four wildland firefighters have died in California this year, twice as many as in all of 2017. They included a bulldozer operator whose vehicle nearly slipped off a mountain trail three times before it rolled into a ravine and crushed him at the Ferguson Fire near Yosemite National Park, a Cal Fire report said, calling for better “risk assessment” among firefighters. Several days of light winds have helped teams control smaller blazes, but they faced a “red flag” warning for increasing winds and heightened fire danger going into the weekend. 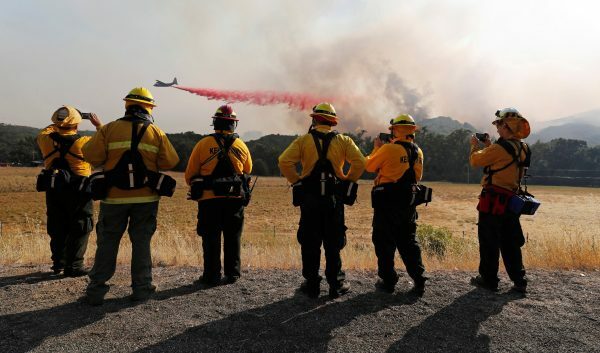 Firefighters from 16 states have rushed to California, and authorities were reinforcing 3,232 personnel on the Mendocino Complex Fire, which is made up of two blazes. The Carr Fire is 39-percent contained, but firefighters are widening fire breaks to prevent winds from causing it to flare up again. 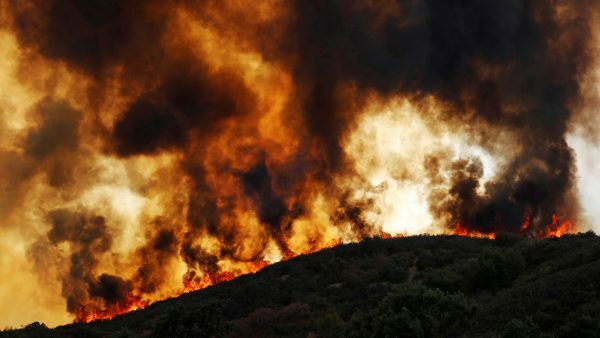 It has destroyed 1,567 homes and other structures and blackened 131,896 acres (53,376 hectares), making it the sixth most destructive California wildfire on record.